Many middle-market business owners and CEOs could benefit by taking the “go big or go home” mantra to heart. These executives often start out with grand ambitions and plans to implement bold strategies that could open the doors to highly profitable opportunities and new business initiatives for their companies. But somewhere between the strategic planning and implementation stages, their grand plans get minimized and they end up playing small ball instead of swinging for the fences. Resources are spread too thin or unevenly. Management ends up under- or over-estimating market opportunities. There is corporate indecision, which leads to a loss of market share. Projects are sabotaged before they even begin. So how do you decide which one or two business initiatives you should allocate your resources to when there are so many possible projects to choose from? In a recent McKinsey & Company article1, the authors recommend that executives view potential growth projects through four different interdependent lenses: the financial, market, operating model and competitive advantage lenses. Following is a closer look at each of these lenses. This is the most obvious lens for most executives, and the one that they’re most comfortable with. After all, if a project doesn’t offer the potential for a high financial return on investment, then why bother with it? But viewing business initiatives through the financial lens also requires looking at value creation beyond standard valuation methodology. Creating value means achieving returns that exceed the cost of capital. By using benchmarks from peers, you can see how you must perform and move beyond this threshold. External market data will give you your current position relative to market growth, evolving cost structures and pricing dynamics. The idea here is to identify areas of growth in both existing market segments and beyond. You can gain perspectives at the granular level by quantifying and validating shifts in profit areas in relevant markets, which will give you visibility into current trends. Is it better to consolidate your core business, or does your company have the assets, resources and capabilities to enter new high-growth or high-profit markets and win? Do you have a digital platform, and is it a preferred platform for your customers? This lens is crucial to determining whether your project has a chance of being successful or not. Do you have the personnel, processes and technology required to achieve your strategic objectives? It’s essential to have the right approach to organizational design, resource allocation and talent and performance management to secure your strategic goals. Support the right investments in product market, by both channel and region. Stay focused on designated projects that will lead to accelerated growth and profitability. Achieve superior returns and value creation. In strategic planning sessions, many business owners and CEOs start out with big plans to implement bold business initiatives that could open doors to highly profitable opportunities. But somewhere between the strategic planning and implementation stages, their grand plans get minimized. To determine which business initiatives you should allocate your limited resources to, view them through four different interdependent lenses: the financial, market, operating model and competitive advantage lenses. 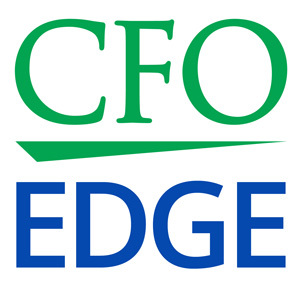 An on-demand CFO partner from a local CFO services firm can help you evaluate growth opportunities and choose the ones that offer the greatest potential for value creation.